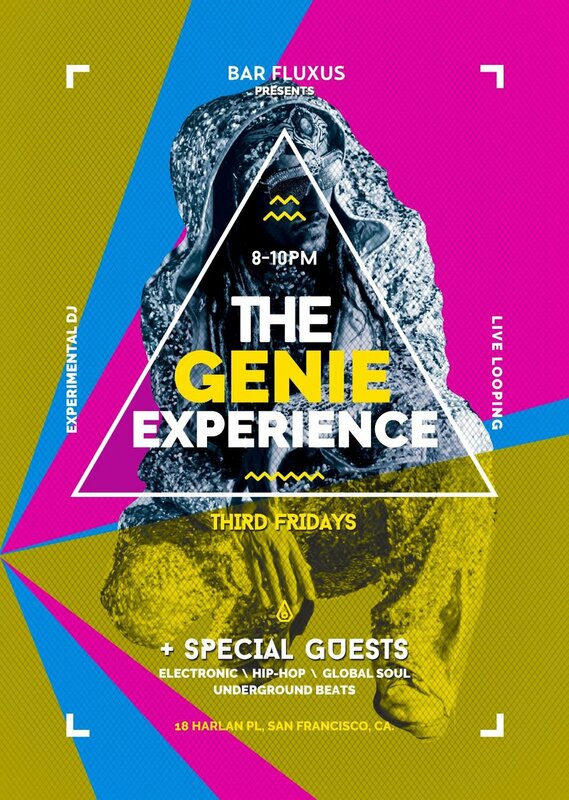 The Genie Experience presents an evening of Spanish Guitar over beats. A renowned looping-innovator, Genie blends traditional finger-style Spanish guitar renditions of modern songs with his unique style of looping. These include Spanish/Flamenco-inspired guitar interpretations of songs by iconic artists such as Radiohead, Bjork, Sade, Prince, Portishead, The Cure, Bob Marley, and Manu Chao, served over looped-beats that draw from a range of genres including hip hop, electronic, reggae, drum n bass, and trap. A sight to behold and a sound to enjoy.